September 25, 2011 Adri H.
September is National Sewing Month and in keeping with my previous sewing project, I present finished sewing project #2! I was inspired by Gertie's Sew Along via BurdaStyle.com or her blog here. 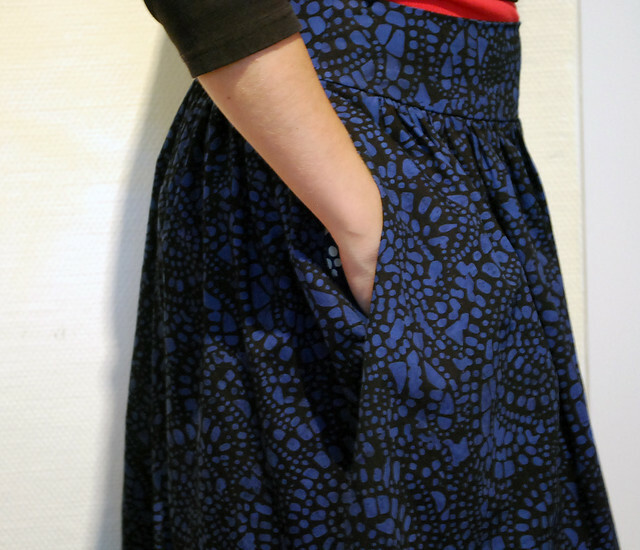 Featured in this project were batik from Quilt et Textilkunst (a local fabric shop). 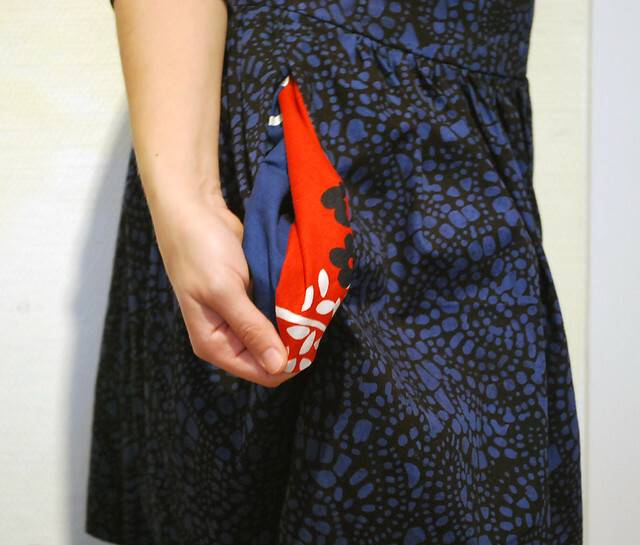 The contrasting pockets were made with fabric by Kokka, purchased from Quilt et Textilkunst. I thoroughly loved making this project and it was quite simple! The instructions were really clear, although I did fuss about with the pockets for a bit (which side should face out?!). The pattern was adapted from View A which has a straight waist detail. 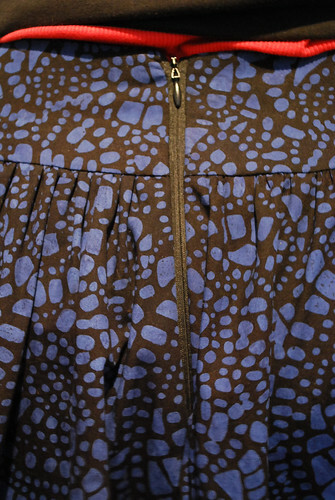 I chose, instead, to do the yoke waist from View C. I used the main batik fabric as facing. Happy September: National Sewing Month!